Ya know......now that I look at that subject line I am thinking more along the lines of Dirty Harry than our featured song this week......LOL. And sadly we are saying goodbye to a couple of our designers this week too :( We'll miss you Liz and Ana!!!! And of course wish you nothing but the best in whatever you do!! Before I get carried away and go any further lets say a big hello to Angela!! AKA Toucan Scraps!!! 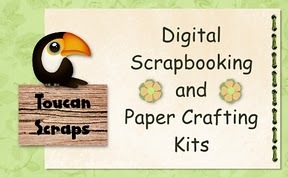 She designs digital scrapbooking and craft printable kits. Her products include digi-paper packs, pdf printable scrap kits, digital scrapbooking kits, quickpages and ready to print gift boxes. 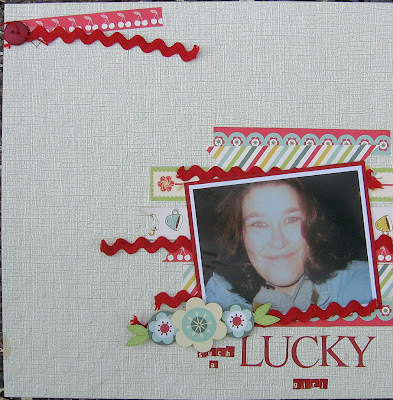 Angela sells in 3 stores, and today she is offering the winner of this challenge a pack of 6 digi papers (8 x 8 inches) from her store at Stitchy Bear & I Did It Creations Crafting Boutique. And she is a SIWAS Alumni!! WOOT!! Geeze I hope I don't cry!! Such sweetness!!!! And for once I totally LOVE my LO! And while my life has certainly had a lot more downs than up lately.....I am a lucky girl!!! I have wonderful kids, a great man in my life, a roof over my head and awesome kids, great friends and the most wonderful extended family in the entire world wide web.......yup...that would be YOU!!!! :):):) I've just decided that life is so much sweeter when we count our blessings!! So here is my layout...created with Cosmo Cricket all the way.......with the exception of the Coredinations cardstock whihc is made to go along with Cosmo Cricket! LOVE this stuff!! 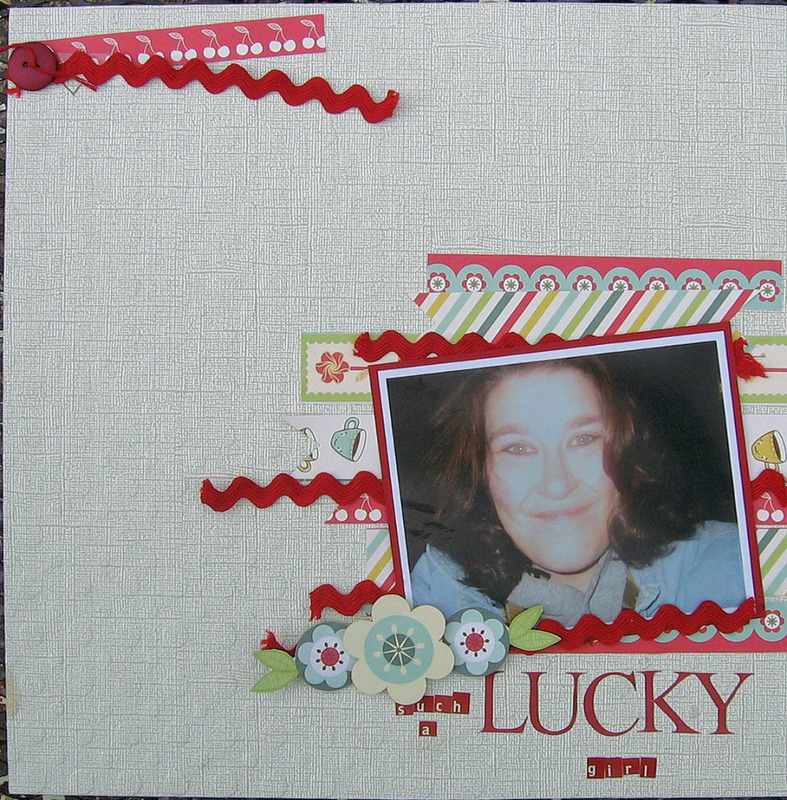 I used some bits and pieces from Early Bird and Tiny Type....LOVEEEE that stuff too!!! So happy to see4 if pop up at my local Hobby Lobby!! Opps......wait...I did use American Crafts Remarks too:) And that photo is sweet lil ol me!! So......how lucky are ya??? Cmon over and see! The challenge will run from now until Sunday Dec 5th at 11:59pm CST. That's 12 whole extra hours. If for some reason Mr. Linky goes missing early feel free to leave your link in the comments section.......he has been PMSing lately so we never know when he is gonna take a notion to just run off on us! Can't wait to see what ya come up with!!! Love your page! The colors are perfect!